Yesterday was a big day for those of us who care about how investment and financial services impact the world we live in. The following is a direct ‘cut and paste’ version of a press released issued by the European Commission, complete with links. 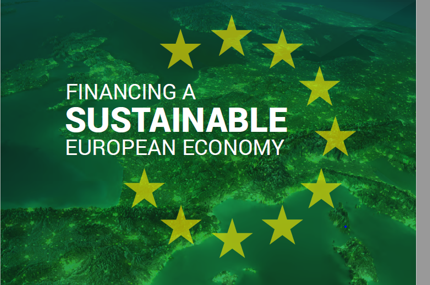 The Commission is today delivering the first concrete actions to enable the EU financial sector to lead the way to a greener and cleaner economy. Today’s proposals confirm Europe’s commitment to be the global leader in fighting climate change and implement the Paris Agreement. The involvement of the financial sector will greatly boost efforts to reduce our environmental footprint while enhancing the sustainability and competitiveness of the EU economy. Following up on the first ever EU Action Plan on Sustainable Finance, the proposals will allow the financial sector to throw its full weight behind the fight against climate change. There are compelling arguments for putting the financial sector at the service of our planet: first, the impact of climate change already threatens financial stability and leads to major economic losses through floods, land erosion or draughts. Last year, the amount of catastrophe-related losses covered by insurance reached an all-time high of €110 billion. Second, if we wake up too late to the reality of global warming, many of today’s investments could end up being redundant. At the same time, we should make the most of the new business opportunities for sustainable economic activities. The EU financial sector has the potential to multiply sustainable finance and become a global leader in this area. This should also have a positive effect on economic growth and job creation. It will support the goals of the Capital Markets Union’s (CMU) to connect finance with the needs of the European economy and the EU’s agenda for sustainable development. More investments will be channelled into sustainable activities thanks to new rules that define the criteria to determine whether an economic activity is environmentally-sustainable. This harmonised EU-wide classification system – or ‘taxonomy’ – will particularly help investors who often do not have enough information about what is green and what is not. All financial entities that manage investments on behalf of their clients or beneficiaries will now have to inform them about how their activities are impacting the planet or their local environment. In so doing, these rules will give more choice to investors who wish to invest in the future of the planet while earning a return. 3. Low-carbon benchmarks: The proposed ruleswill create a new category of benchmarks, comprising the low-carbon benchmark or “decarbonised” version of standard indices and the positive-carbon impact benchmarks. This new market standard should reflect companies’ carbon footprint and give investors greater information on an investment portfolio’s carbon footprint. While the low-carbon benchmark would be based on a standard ‘decarbonising’ benchmark, the positive-carbon impact benchmark would allow an investment portfolio to be better aligned with the Paris agreement objective of limiting global warming to below 2° C.
4. 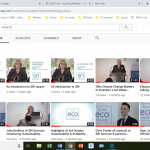 Better to advice to clients on sustainability: The Commission has launched a consultation to assess how best to include ESG considerations into the advice that investment firms and insurance distributors offer to individual clients. The aim is to amend Delegated Acts under the Markets in Financial Instruments Directive (MiFID II) and the Insurance Distribution Directive. When assessing if an investment product meets their clients’ needs, firms should also consider the sustainability preferences of each client, according to the proposed rules. 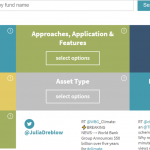 This should help a broader range of investors access sustainable investments. The EU and governments around the world committed to the objective of a more sustainable economy and society when they adopted the Paris Agreement on climate change and the UN 2030 Agenda for Sustainable Development. The EU is already making a difference thanks to the EU 2030 Energy and Climate framework, the Energy Union, the Circular Economy Action Plan, and the EU implementation of the 2030 Agenda for Sustainable Development. This is at the core of the Union’s Capital Markets Union project. 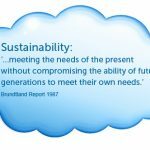 Current levels of investment are not sufficient to support an environmentally-sustainable economic system that fights climate change and resource depletion. More private capital flows need to be oriented towards sustainable investments to close the €180-billion gap of additional investments needed to meet the EU’s 2030 targets of the Paris Agreement. The Commission’s first step was the Action Plan on Financing Sustainable Growth of 8 March 2018.The Action Plan was informed by the final report in January 2018 of a High-Level Expert Group on sustainable finance established by the Commission in 2016. The Commission also conducted a public consultation on institutional investors’ and asset managers’ duties regarding sustainability. On 22 March 2018, the Commission organised a high-level conference to discuss how to best put the Commission’s strategy on sustainable finance into practice. The conference confirmed the support and commitment of EU leaders and key private players for the changes needed in the financial system and the economy.